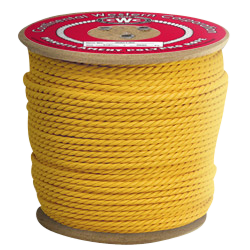 CWC PolyPRO Yellow is a strong, lightweight monofilament polypropylene rope that floats and has excellent resistance to oil, marine growth and most common chemicals. 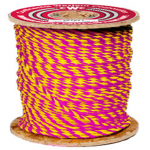 Designed not to rot, this rope has good abrasion and UV resistance, allowing for the color to last the life of the rope. Available in standard lengths of 600' and 1200'.